Support for solar power which would add just £1 to bills by 2019 could save thousands of at-risk jobs and help the popular energy source become subsidy free, the industry has said. The Government has announced plans to cut subsidies for small-scale arrays of rooftop solar panels by 87%, which it says is necessary to stop renewables support costs spiralling out of control. 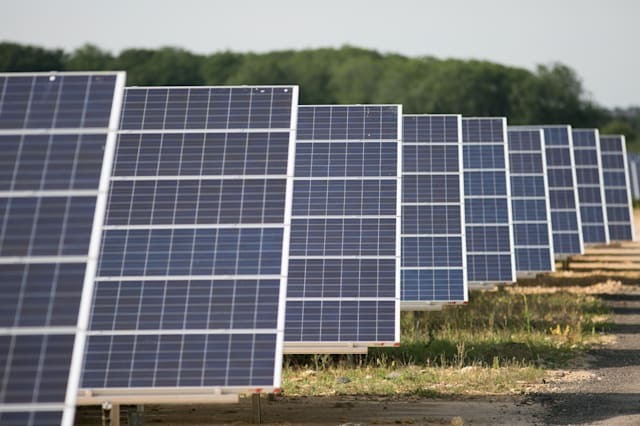 But the Solar Trade Association (STA) has warned the move could cost up to 27,000 jobs, and waste public money already spent on supporting the technology. Solar companies are already going out of business as a result of the changes, with an estimated 1,000 jobs lost so far. Solar, which is expected to play a major part in world energy supplies in the future, is close to achieving parity with grid electricity prices but is not there yet, the industry said. It has launched an "emergency" £1 solar rescue plan, which it says would add just £1 to consumer bills by 2019, on top of the £9 a year that subsidies for the clean technology currently cost bill payers. It would include higher initial tariffs for subsidies to make investing in the technology viable, with reductions set out to allow Government to control costs and give the industry certainty. The plan would ensure that families, farmers, housing associations and community groups could continue to be involved in the move towards low carbon power and give them more control over their energy, the STA argues. The call comes as new research by Good Energy shows that renewables, while adding cost to bills through subsidies, can also help bring down costs by reducing wholesale electricity prices. The study calculated that wind and solar brought down the cost of wholesale electricity by £1.55 billion last year by generating cheaper power as their "fuel" – the wind and sun – is free. STA chief executive Paul Barwell said: "Solar is the future and this is recognised the world over. "We think the British public will find it very hard to understand why Government would decimate the nation's favourite energy source for the sake of just a quid on bills. "But we do need Government to act quickly now," he said, and called on MPs of all parties to get behind the plan and restore cross-party support for solar. "Furthermore, the Good Energy analysis out today shows that our proposals will, in fact, be paid for by solar depressing wholesale electricity prices. "All Government needs to do is ensure those savings are passed on to consumers and our plan will, in effect, pay for itself," he said. A Department of Energy and Climate Change spokesman said: "Our priority is to keep bills as low as possible for hard-working families and businesses, while reducing our emissions in the most cost-effective way. "Government subsidies have driven down the cost of renewable technologies significantly and we delivered much higher deployment and more than the promised subsidies to the industry. Our action will protect existing investment whilst also protecting bill payers from rising energy bills."